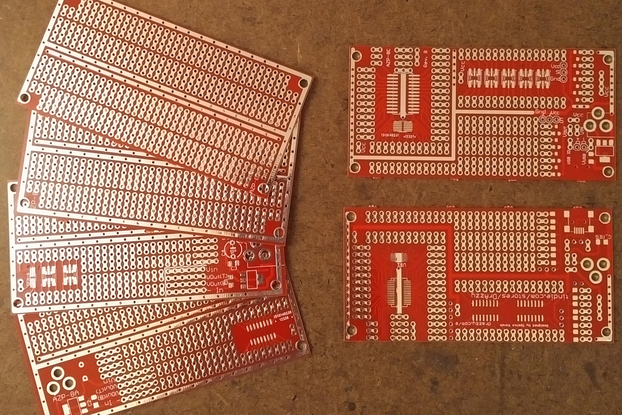 Similar to my other "project boards," this board combines outlines for an ESP8266 and power-supply circuitry with plenty of prototyping space for SMD and through-hole parts. 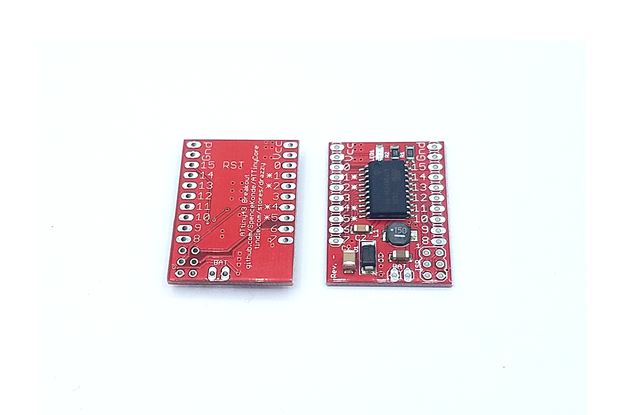 This enables rapid prototyping of projects involving the ESP8266, as well as being well-suited for unique or nearly unique parts for home hobby projects. 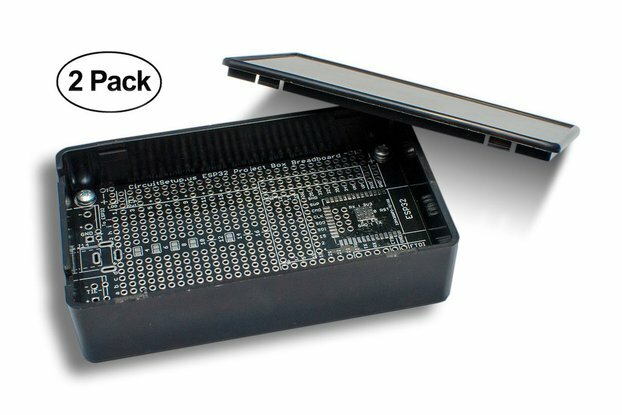 By integrating common SMD footprints on the prototyping board itself, the need to use breakout boards is reduced, and by using real soldered connections (as opposed to solderless breadboard), reliability is greatly improved, and the project can be moved around without worrying about wires getting pulled out (and who hasn't tried to show off their breadboarded project, only to be left fumbling around looking for the loose wire, as witnesses look on). 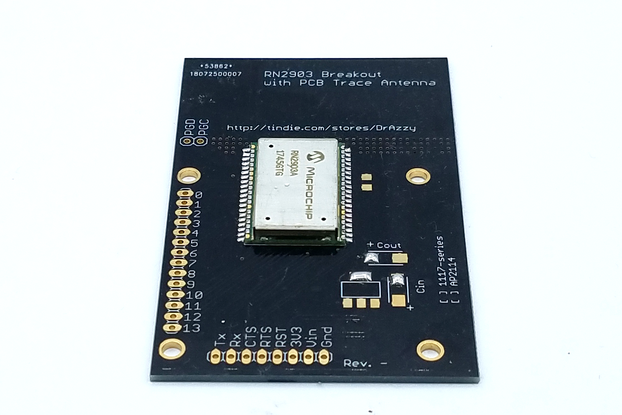 This board features pads for an ESP8266 in the ESP-07 or ESP-12/12E/12F modules on a 2" x 4" board (same outline and hole location as my general purpose 2"x4" boards). 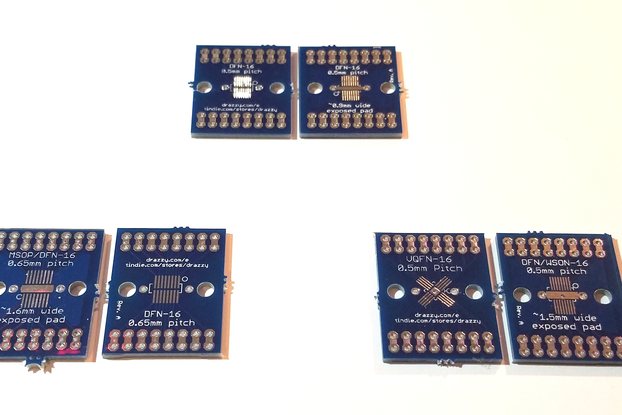 All the GPIO pins, and the ADC pin, are broken out to groups of through-holes along the bottom edge. 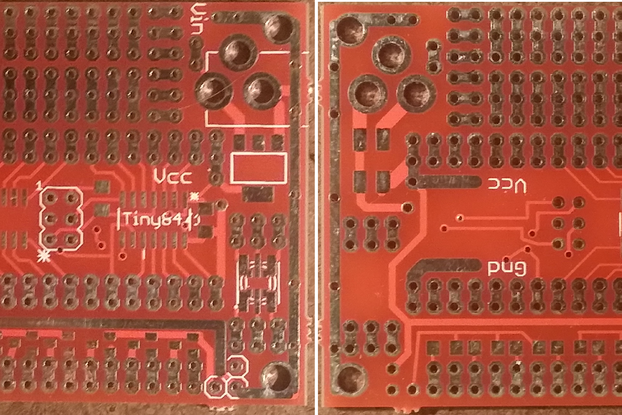 The power supply section can use an SOT-223 regulator with one of two pinouts (only one regulator at a time): either the 1117-series ones, with VOut on the tab (using the outline on the top of the board), or the other pinout common for many lower-dropout regulators, with ground in the middle (using the outline on the bottom of the board). 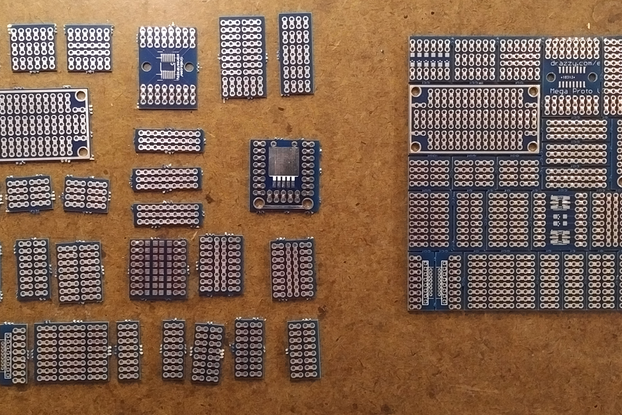 Input and output caps can be either 1206 SMD caps or through-hole caps - pads for both are provided for those who don't like SMD soldering (soldering SOT-223 is easy - easier than soldering down the ESP8266 - so I didn't include a through-hole regulator option). 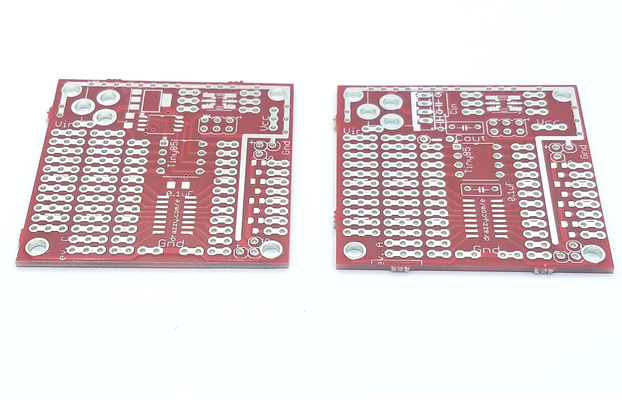 The ground and Vcc lines are routed around the board with nice, thick traces, so you're never far from power and ground, and Vin is accessible in two points as well, including right in the middle of the SMD prototyping area to supply any level-shifting IC's you may need. Input and output capacitors for LDO regulator (see datasheet for your regulator - different manufacturers have different capacitor recommendations) in 1206 or through-hole packages. 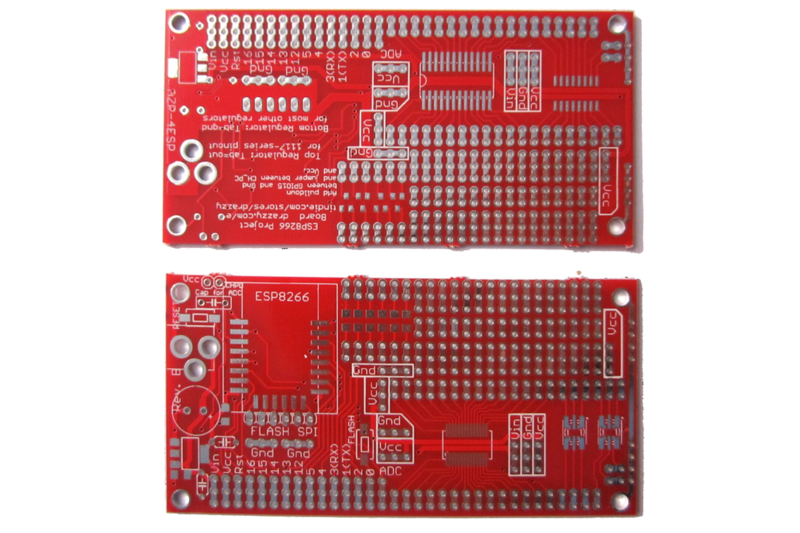 Wire or 2 pin 0.1" pin header + jumper for CH_PD pin. 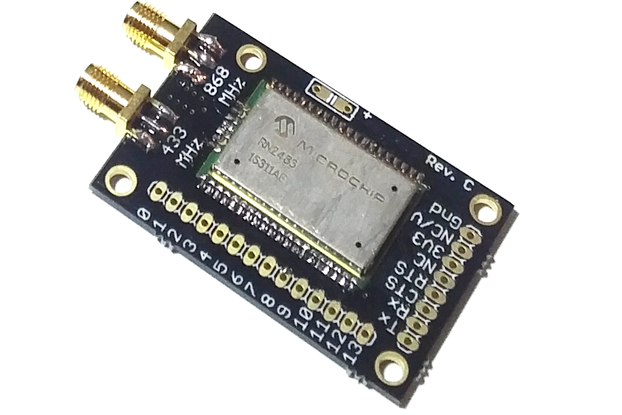 1k resistor, connected between pin 15 and ground. APA102 driver - this uses the ESP8266 to drive a string of my Ping-Pong Ball Lights, and provide a web interface for adjusting the colors. 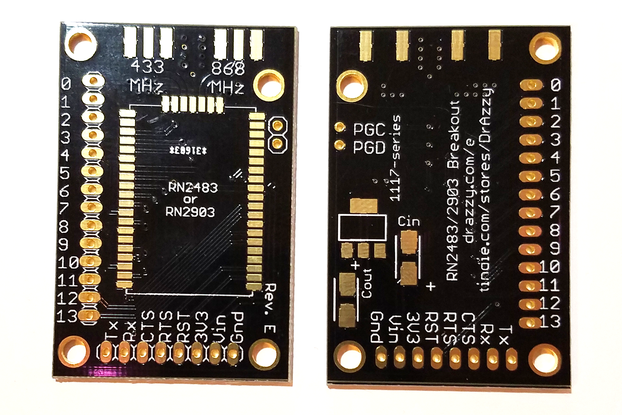 Preset color patterns and animations are stored on an AT24-series EEPROM. 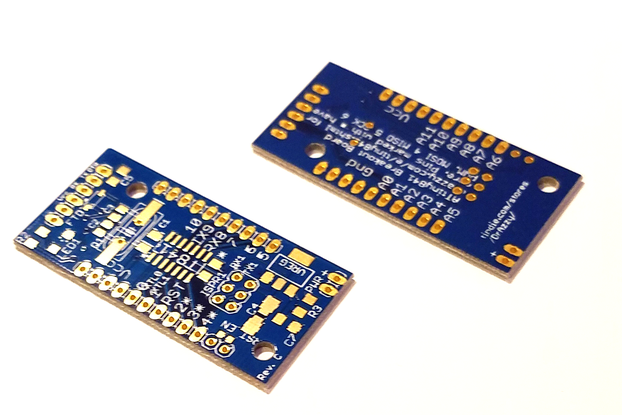 Level shifting for the ESP8266 is achieved with a pair of low voltage MOSFETs (5LN01SP - yes, a through-hole MOSFET that works at Vgs=1.5v) and external pullup resistors. 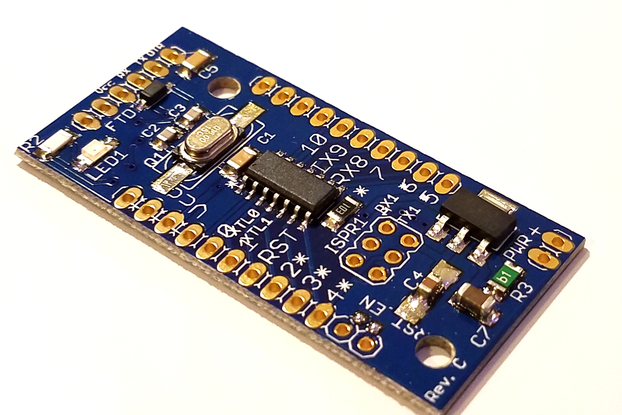 A 1117-series regulator provides 3.3v from the 5v supply (which powers the LEDs). 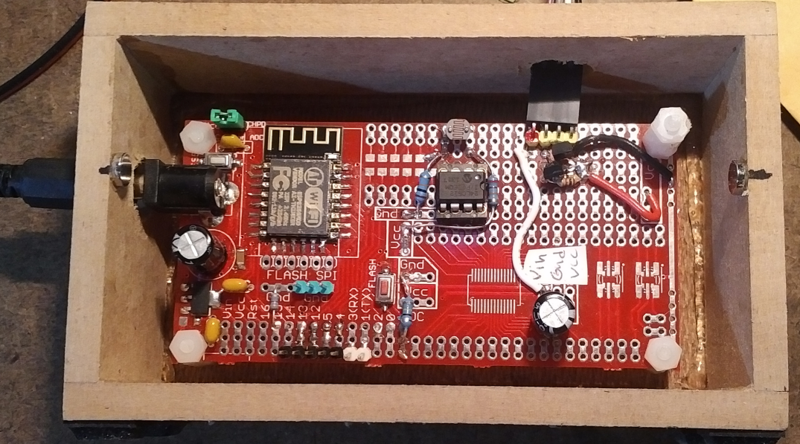 Router Rebooter - Two relays, screw terminals, and FETs to drive them. This is being used to resolve a persistent issue with a router and modem at a remote location, which is regularly monitored using webcams. Periodically, the router (or modem - we're not sure which) will crash, and it'd be a 1-hour drive each way to get there to reboot them. To solve this problem, this router rebooter has two NC relays which turn off the router and modem, respectively. The software will ping a high-uptime website periodically, and if it is unable to access it, it will automatically use the relays to power-cycle the router and modem. 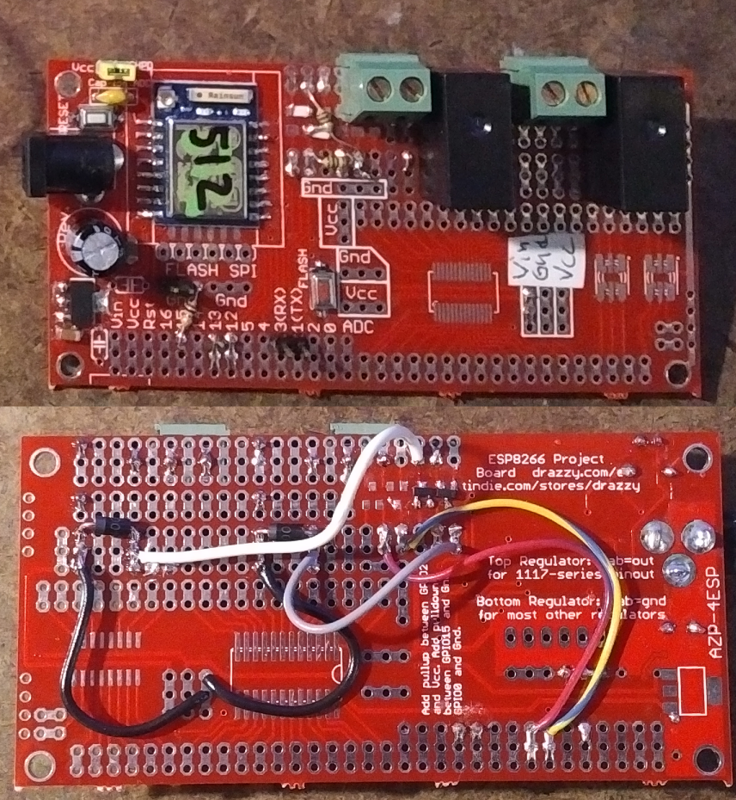 A 1117-series regulator provides 3.3v from the nominally 12v input.